Hi there, you Golden Knight, you. Welcome! We’re so excited to have you here, officially, at Saint Rose. The big stuff is over: you found a school, you applied, you got in, you decided to go, and you made your deposit! So now what? We know your summer calendar’s filling up, so be sure to note a few must-attend events here before you move in or commute here this fall. 1. You’re coming to STAR! 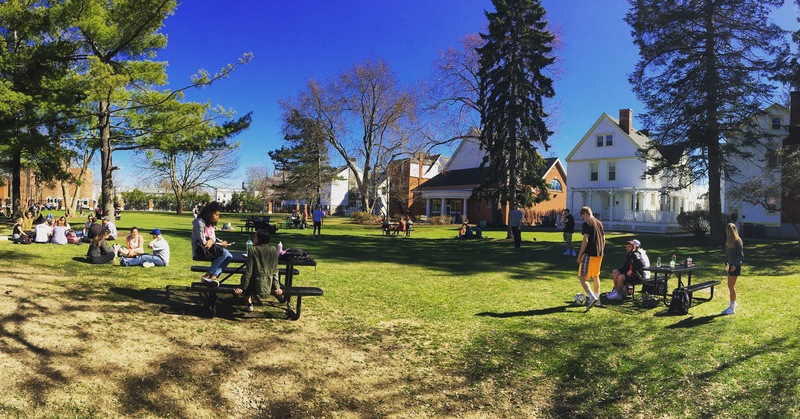 This is your big first-year experience here at Saint Rose. STAR stands for Student Transition, Advising, and Registration, which basically means you’ll spend a day here learning about what it’ll be like to study as a Golden Knight. We’ll tell you all about our academic expectations, but also about all of the campus engagement opportunities you’ll receive here. You’ll meet your peers, and have lots of chances to ask any questions you have about your first year at St. Rose. Oh, and we’ll even give you your student ID! So register now! This is another requirement for first-year students like you, so mark it on your sked! Orientation kicks off late afternoon on Wednesday, August 22, and concludes Sunday, August 26, 2018. Got it on your cal? Good. When you get here, we’ll give you a schedule of events to learn more about the mission of Saint Rose and help you transition into college living. Don’t worry, we’ll leave you plenty of time to eat unlimited ice cream in the dining hall, hang all your posters, and pictures up, and get to know your classmates. 3. You can also opt into our Pathways Program. Interested in getting a bit of a headstart on moving in, meeting people, and getting a lay of the land? Pathways is for you. You’ll find unique opportunities to work in small groups to develop teamwork and leadership skills and start having new experiences and making new friends. We hope you’re as excited as we are. We can’t wait to see you on campus this summer. And send us a message or give us a call if you have any questions or worries!